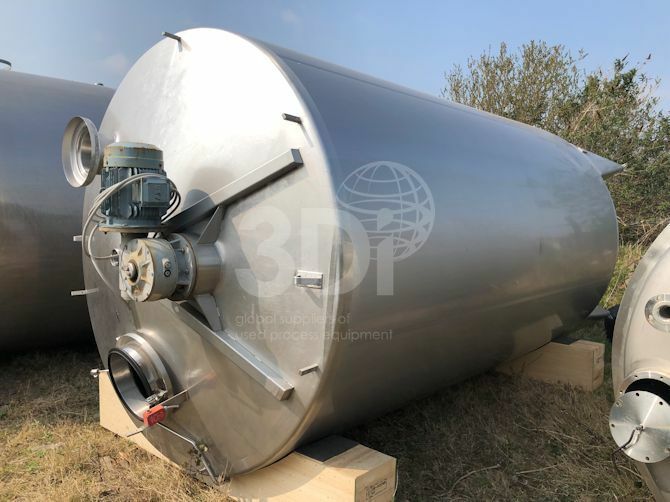 Used 20,000 Litre Stainless Steel Mixing Vessel. Material of construction: 316 stainless steel. Orientation: vertical, cylindrical, coned top and bottom. Dimensions: 2500mm external diameter, 4100mm on the straight, 6000mm overall length without handrail. Fitted with an off centre top mounted agitator. Previously used in the food and beverage industry.